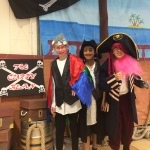 Pirates of the Curry Bean! 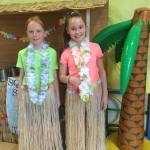 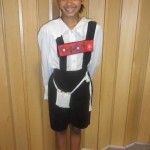 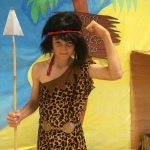 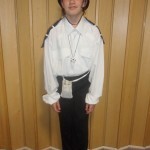 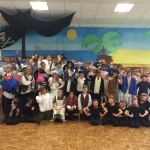 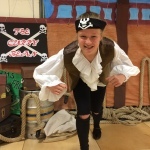 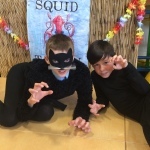 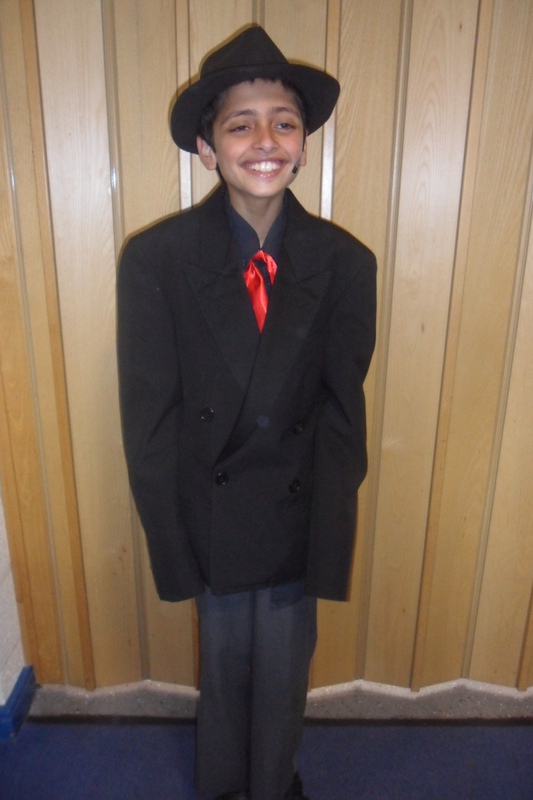 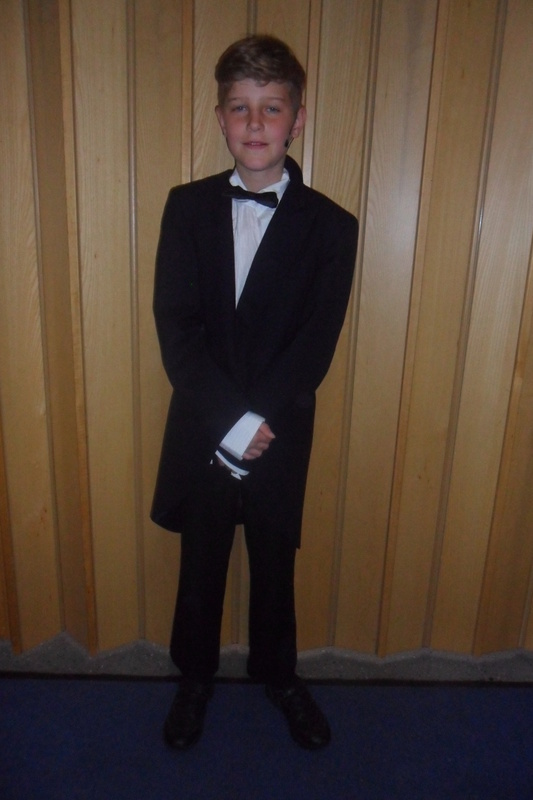 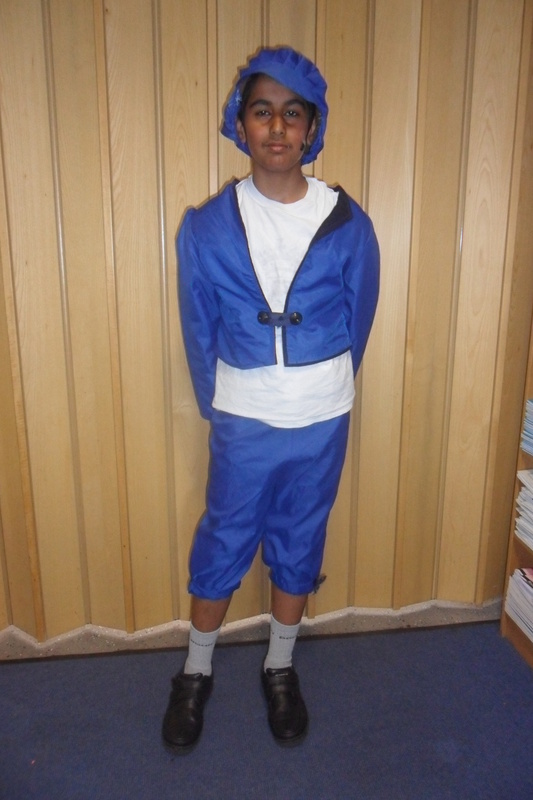 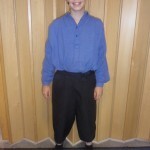 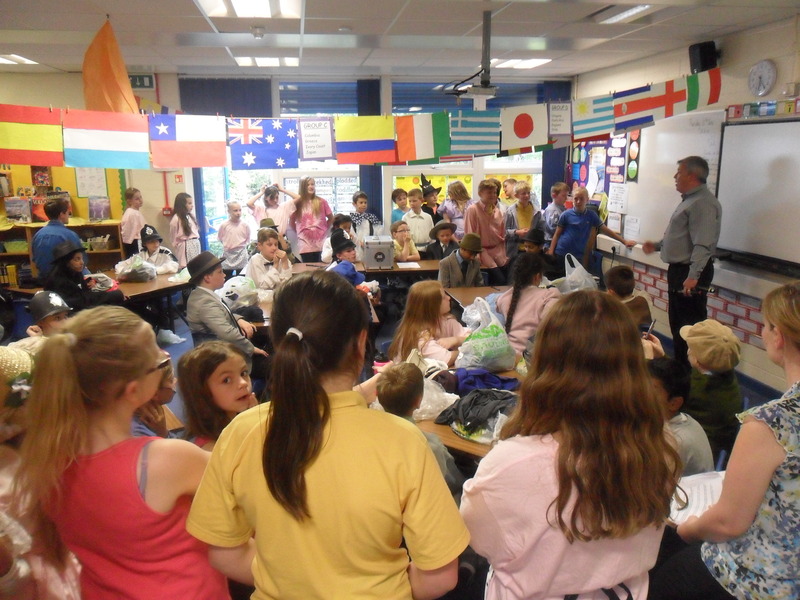 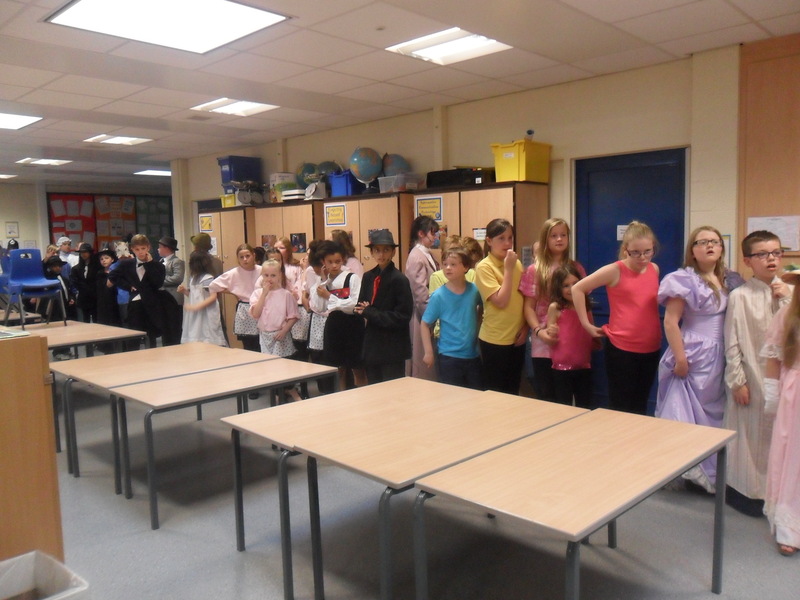 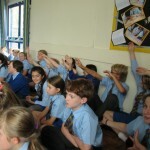 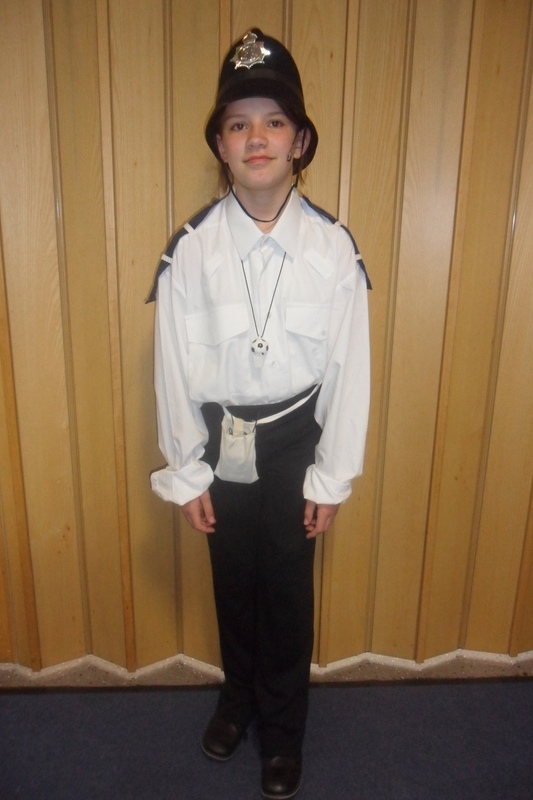 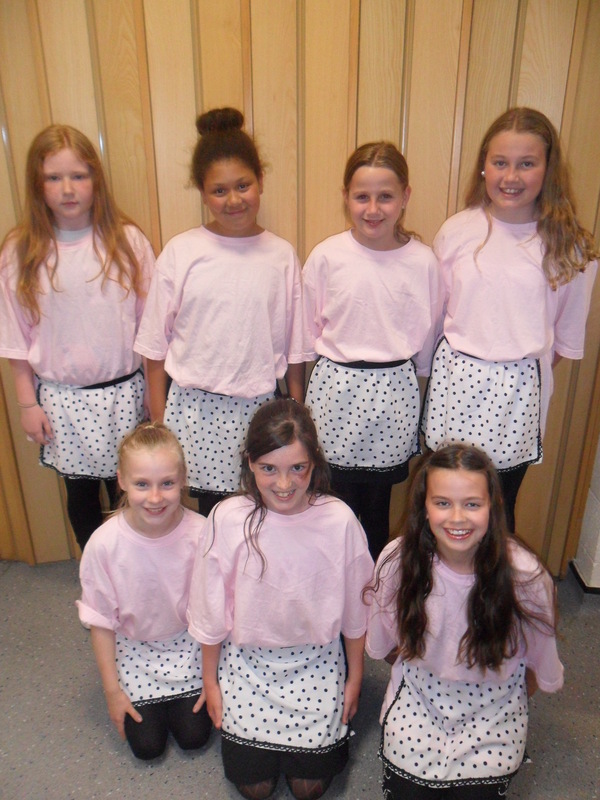 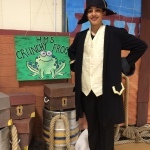 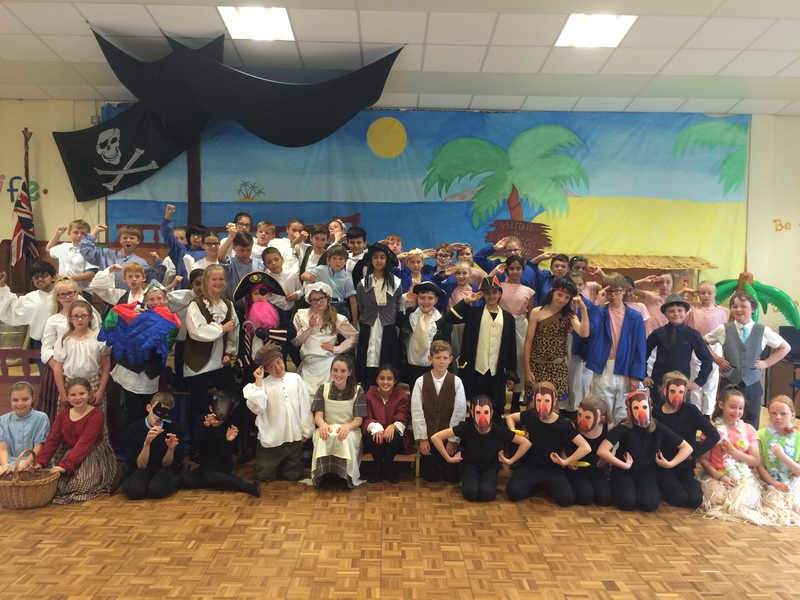 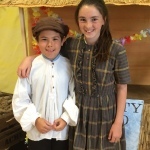 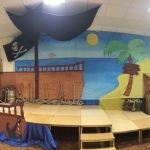 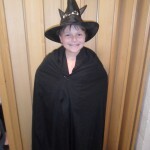 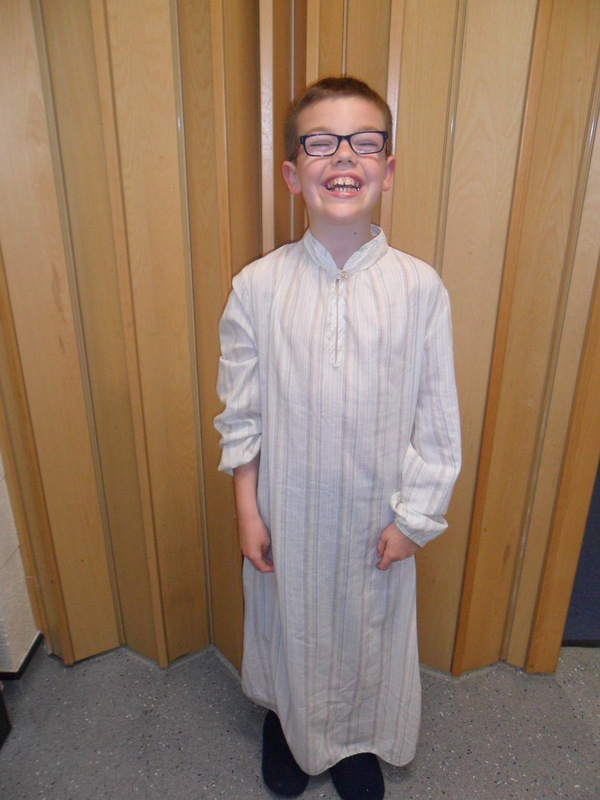 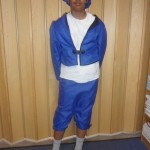 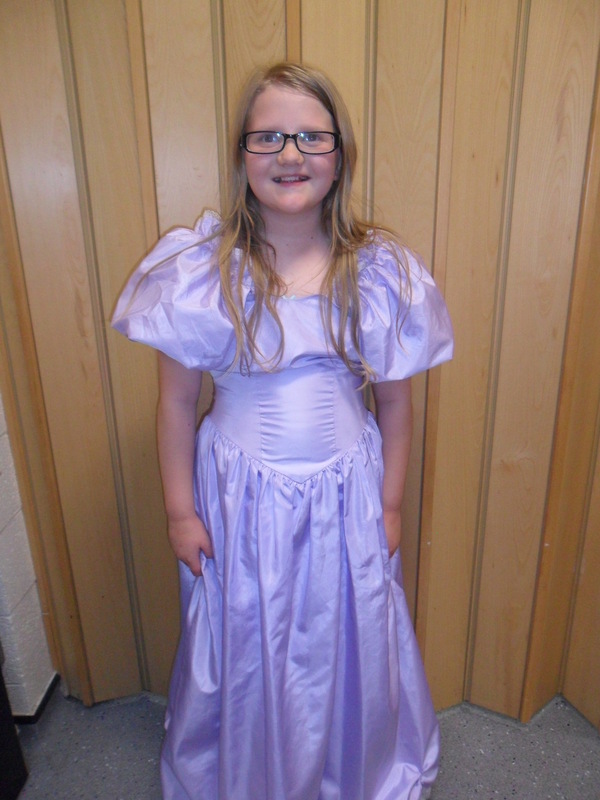 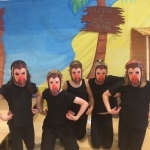 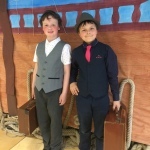 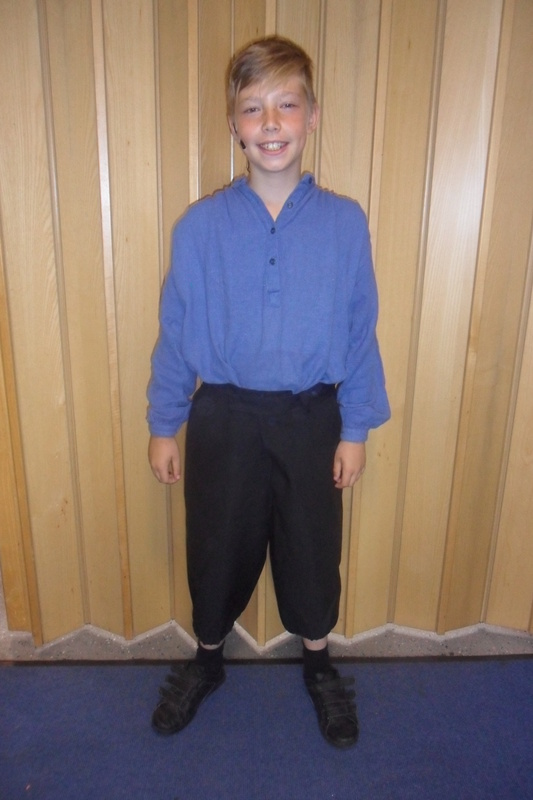 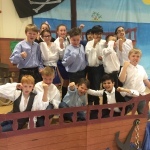 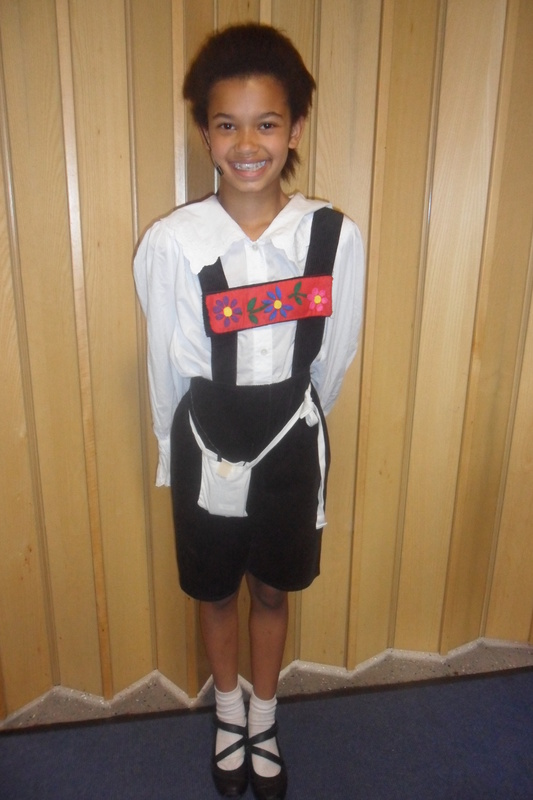 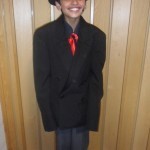 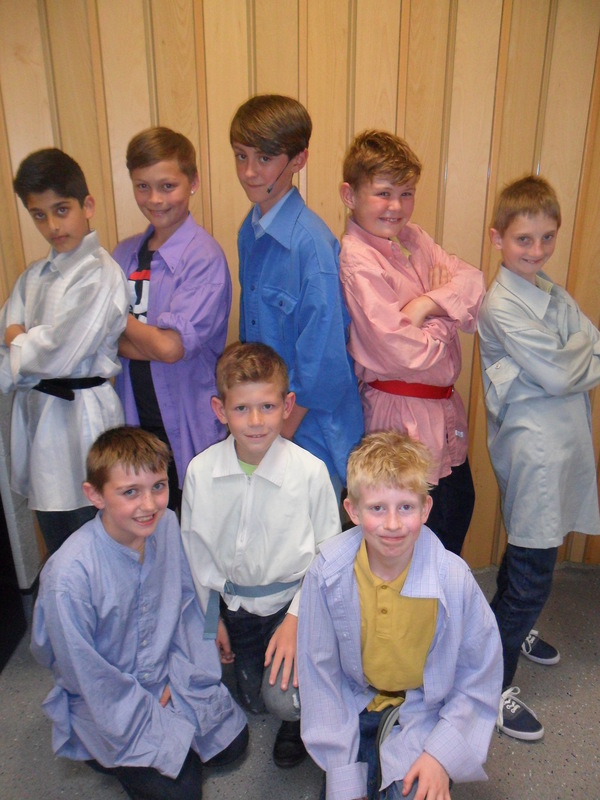 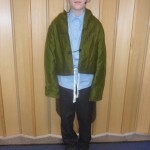 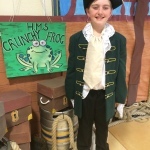 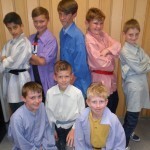 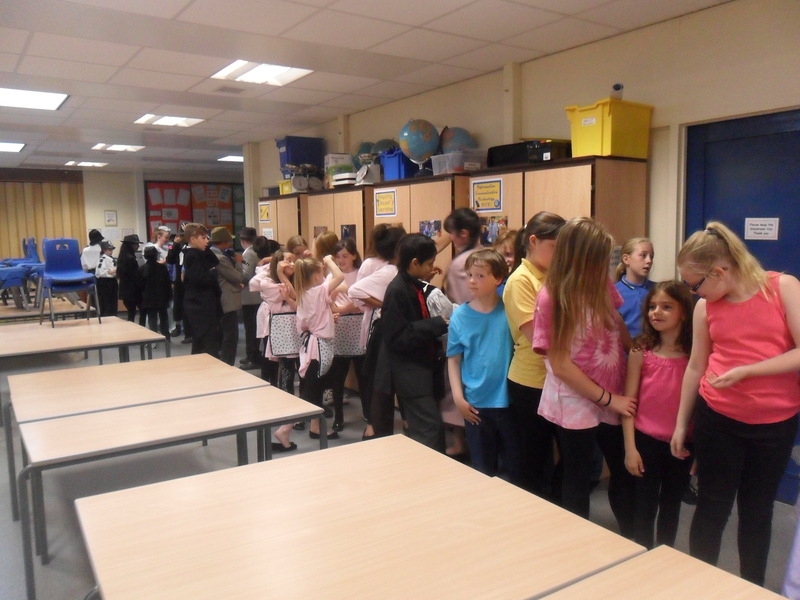 This week Year 5+6 performed their production of Pirates of the Curry Bean. 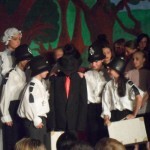 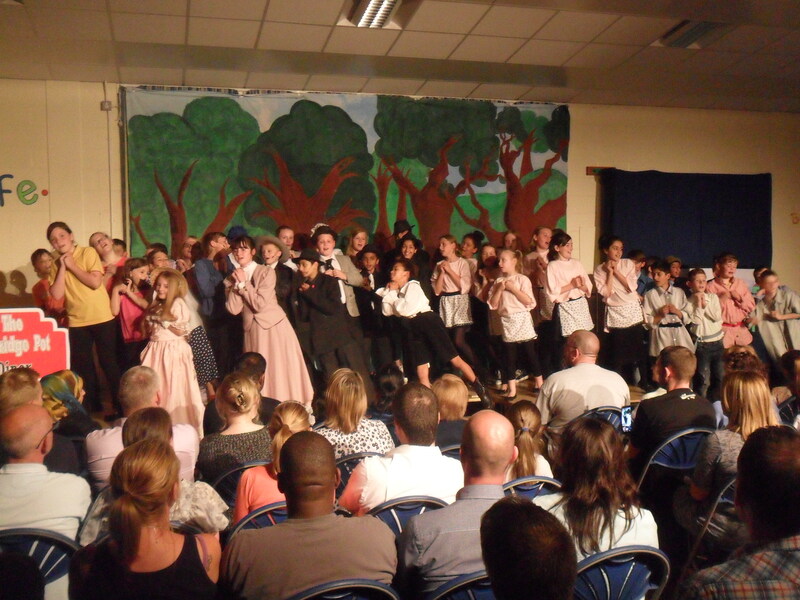 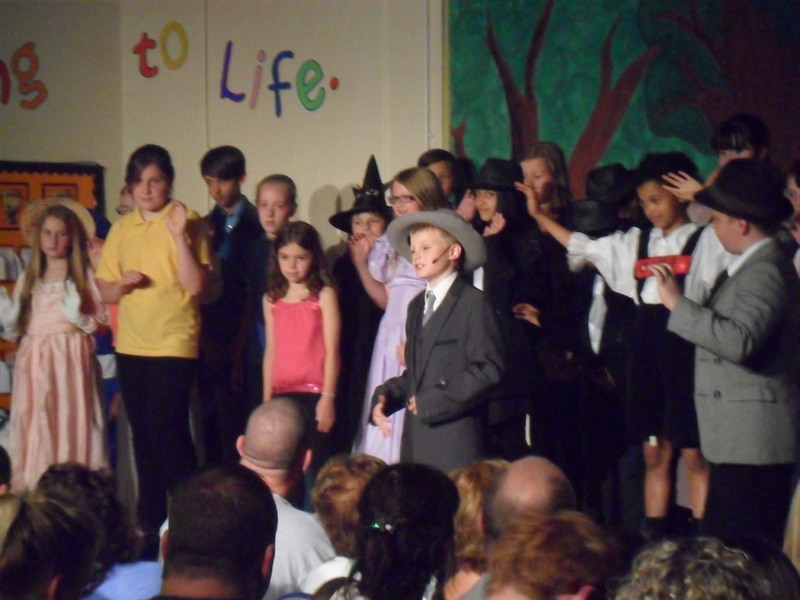 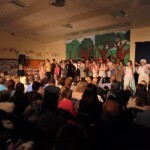 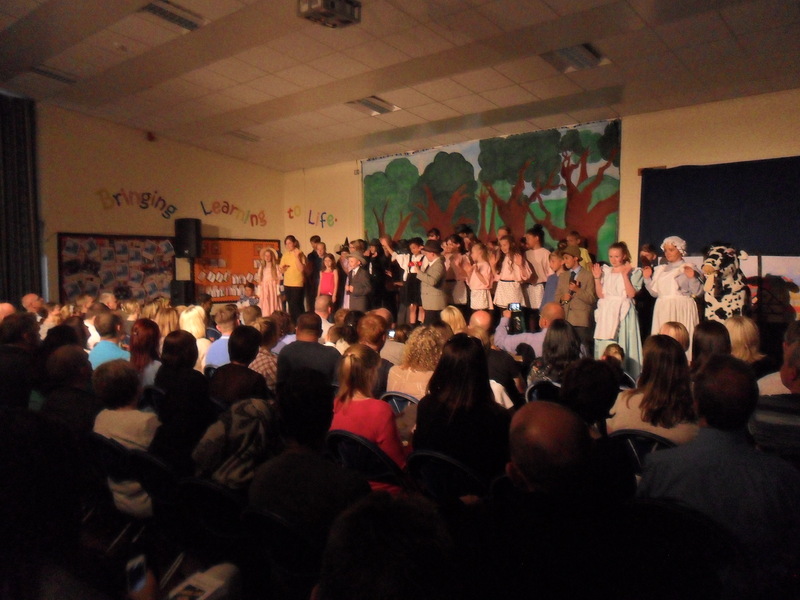 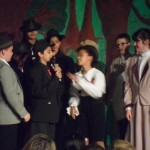 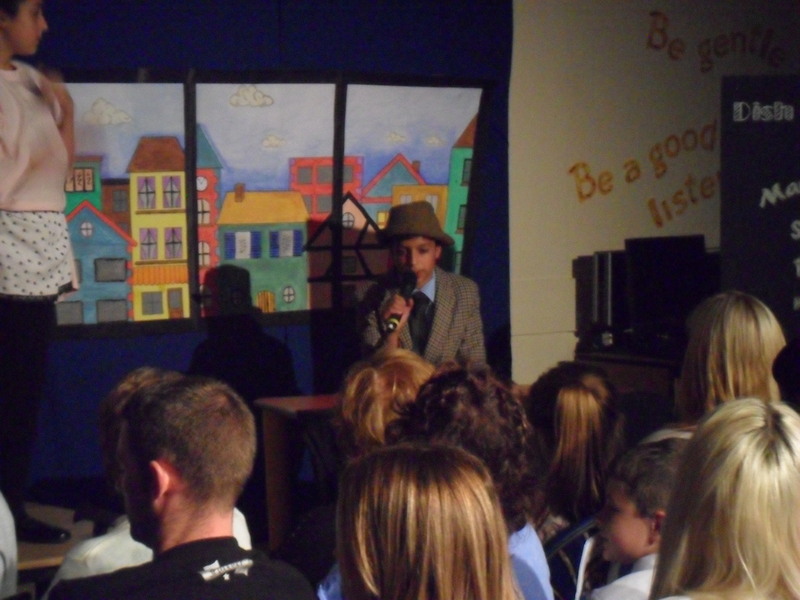 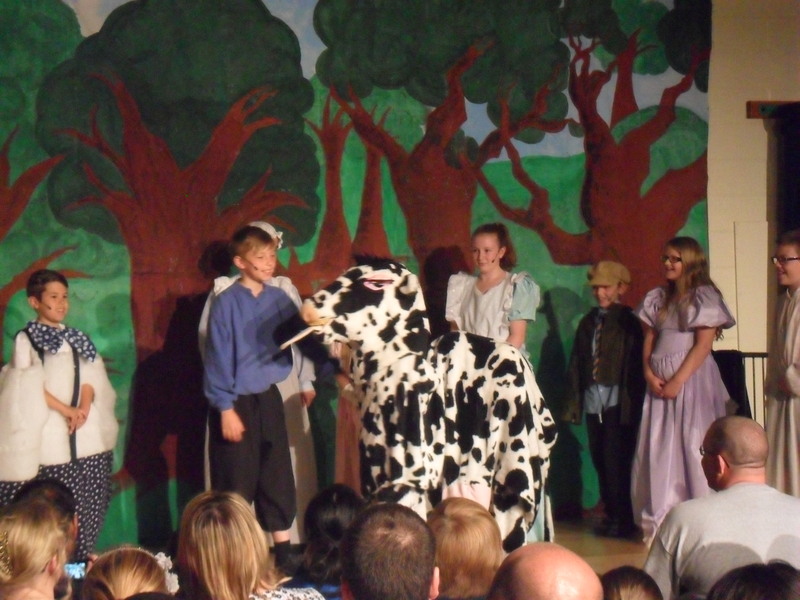 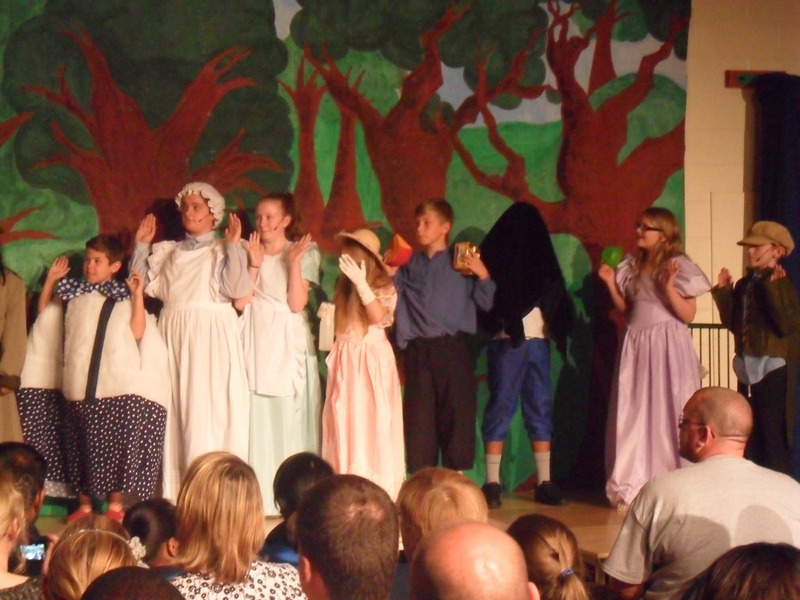 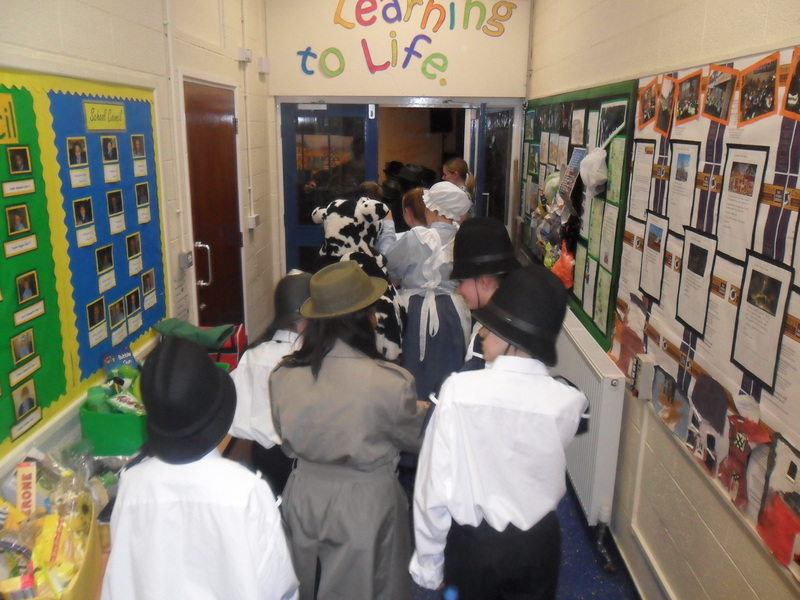 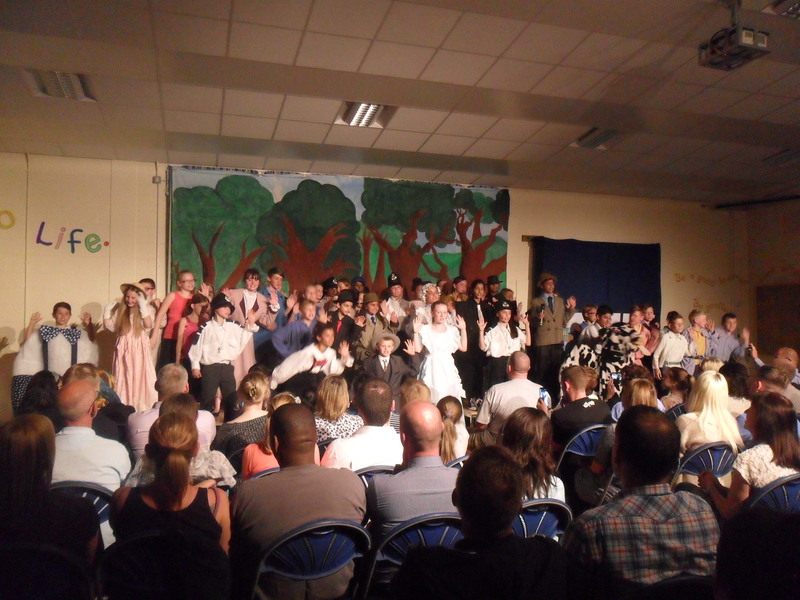 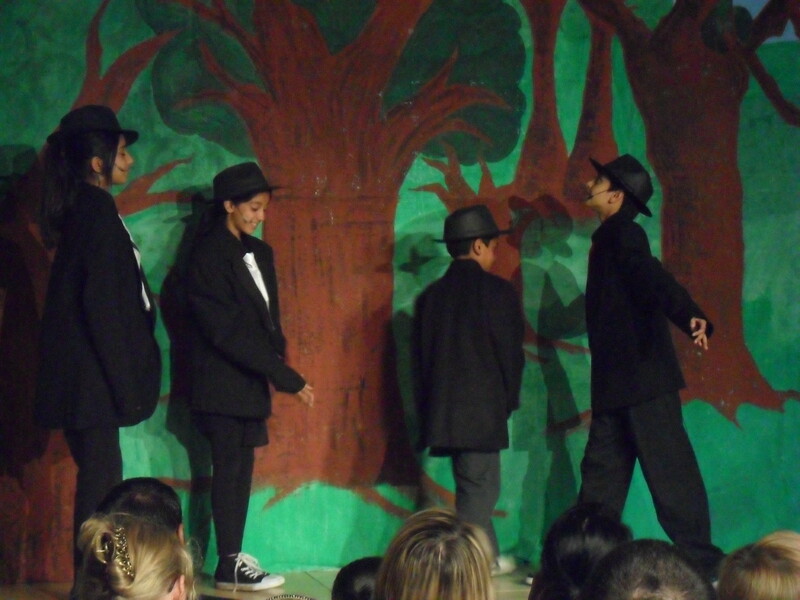 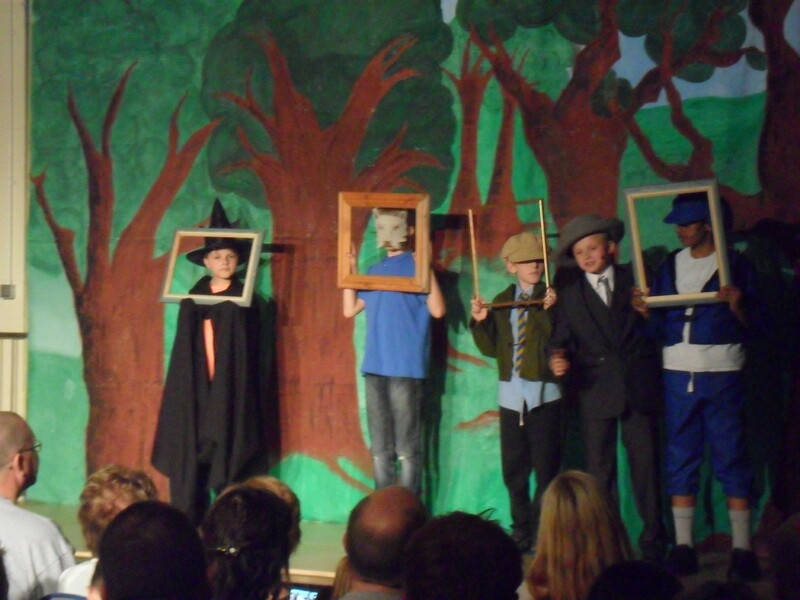 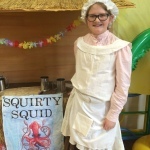 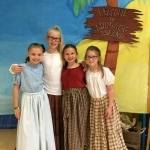 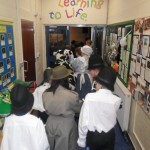 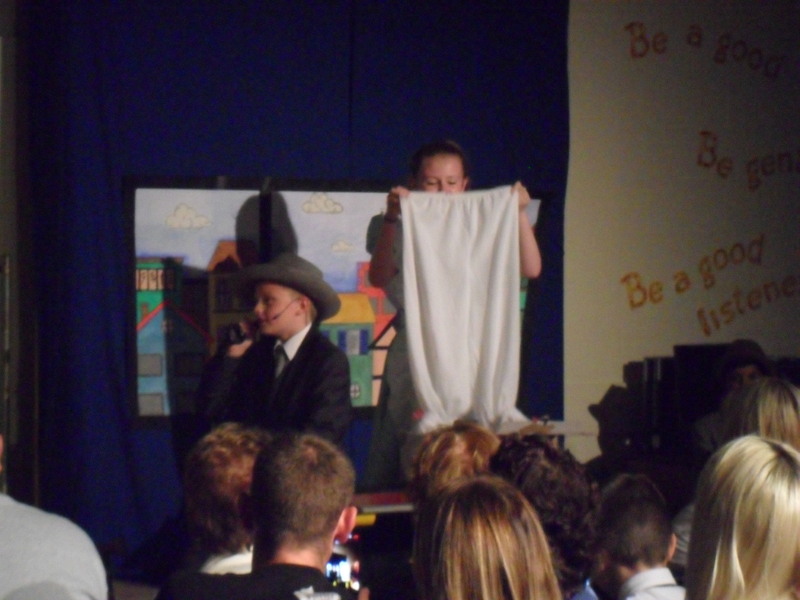 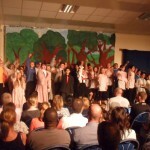 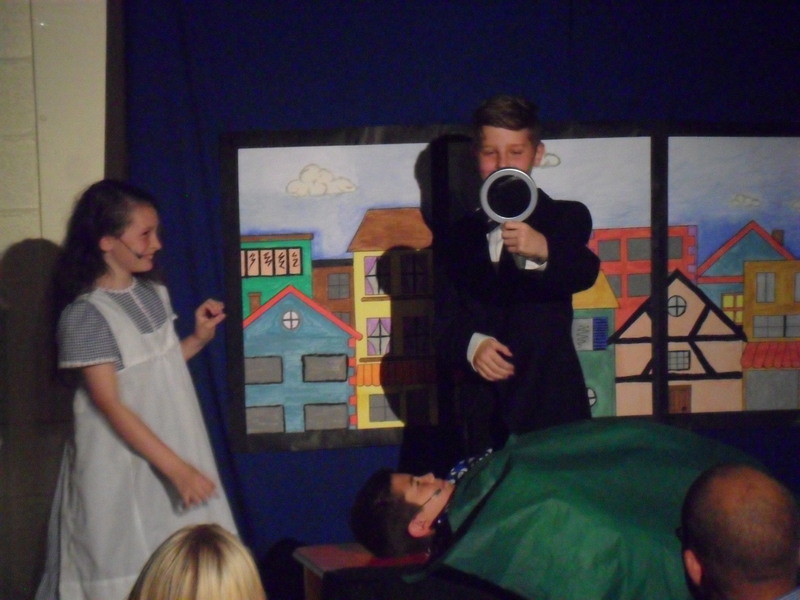 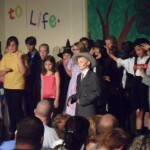 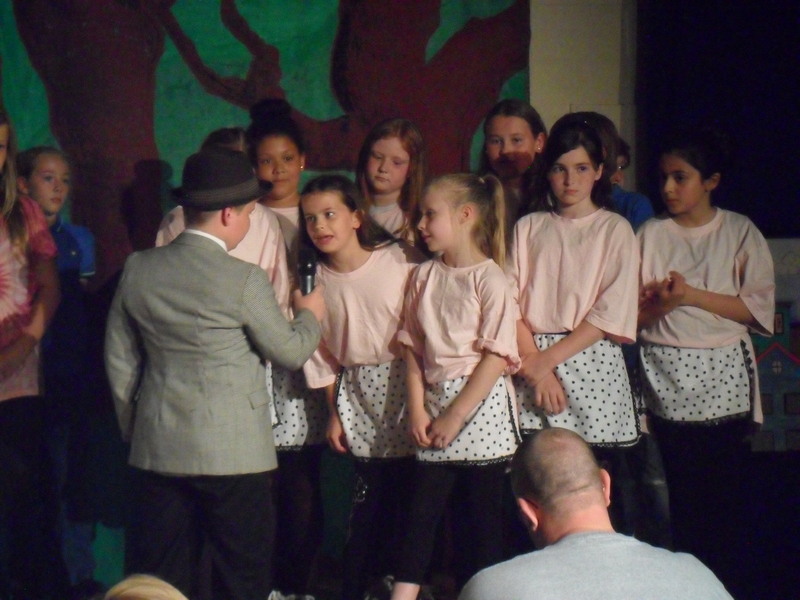 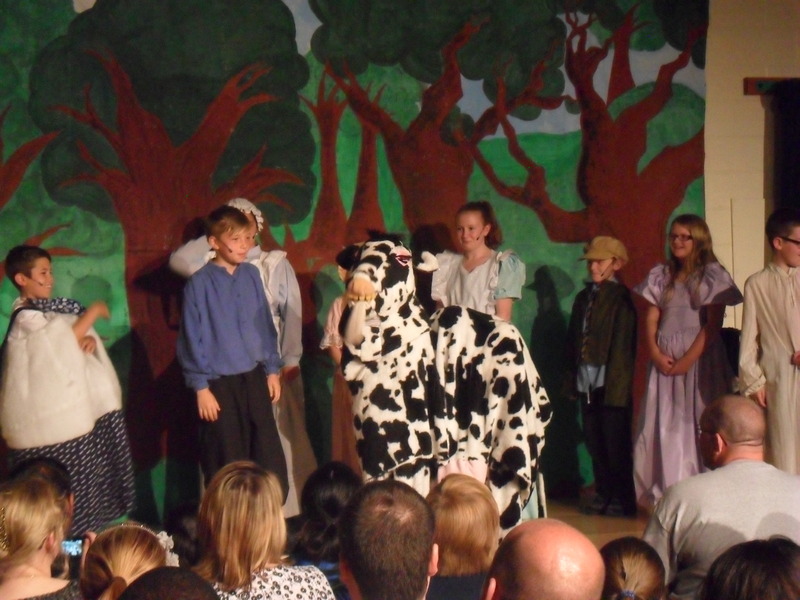 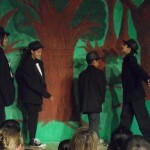 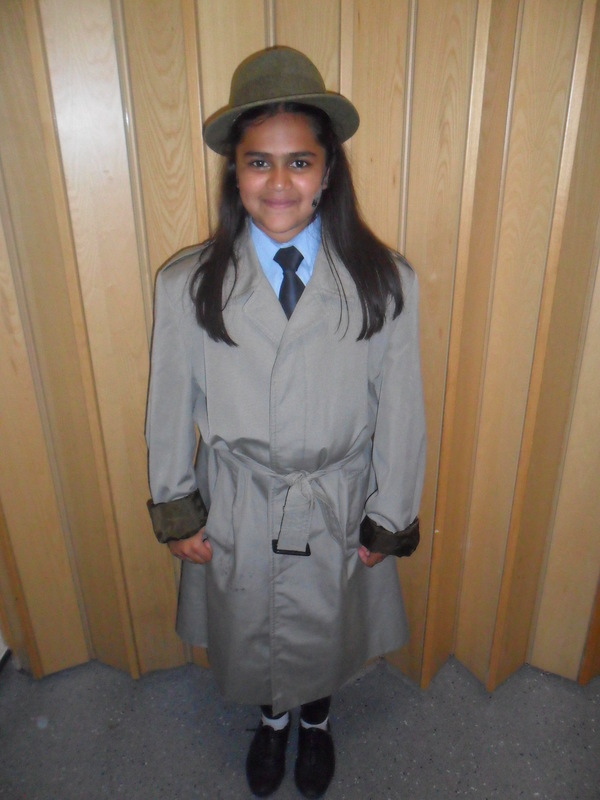 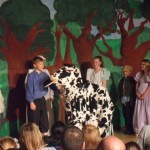 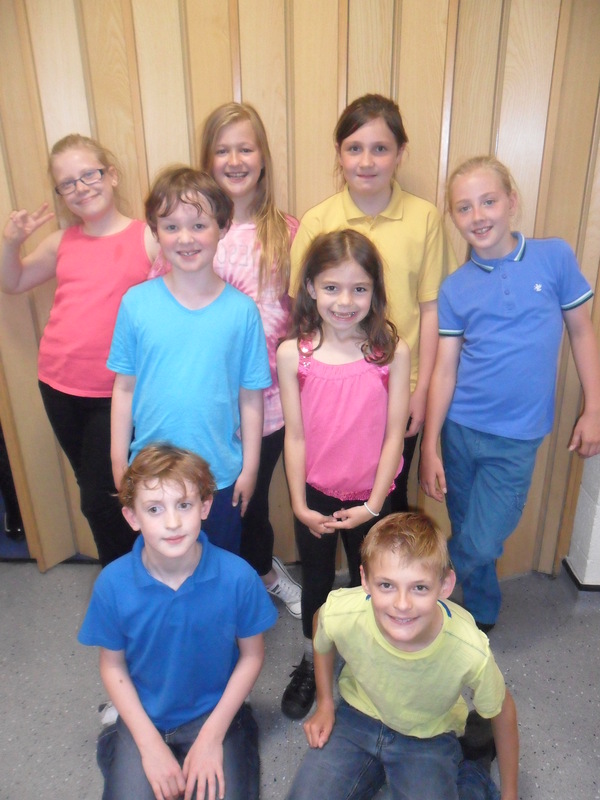 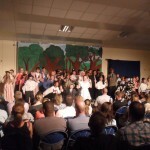 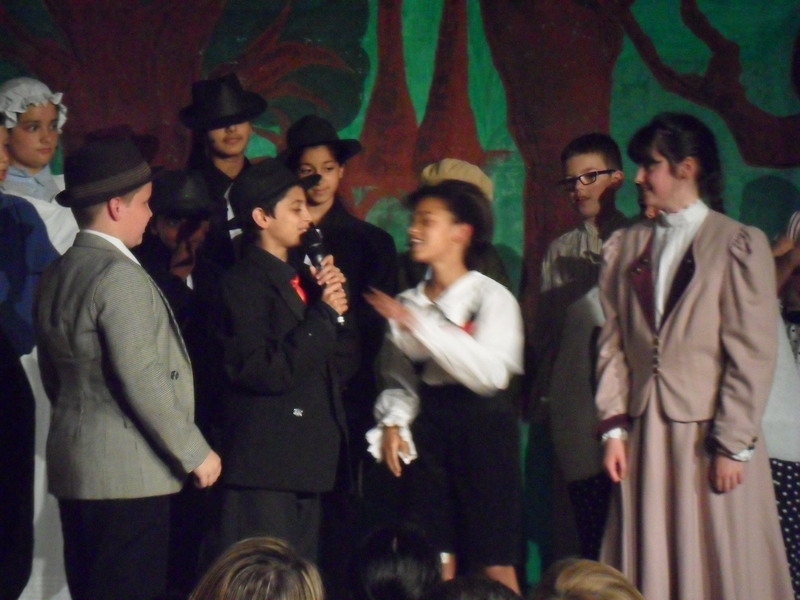 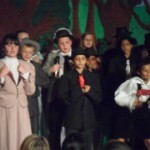 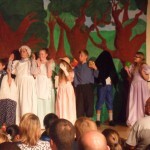 The children managed to produce the show in only 3 weeks and it was outstanding! 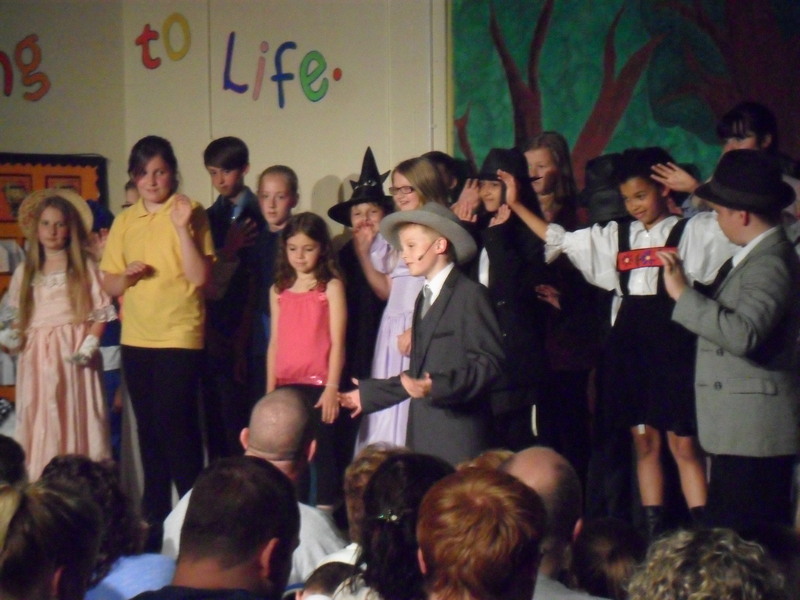 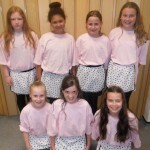 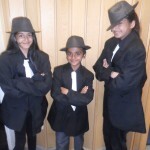 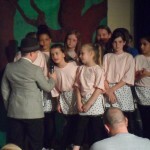 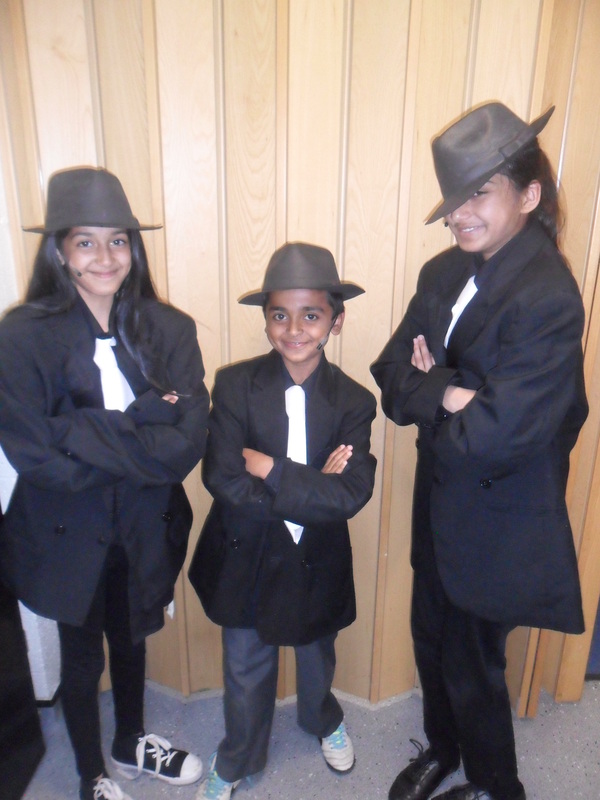 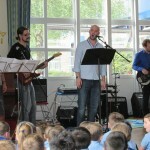 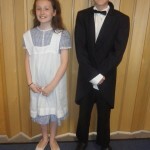 Our main characters learnt an unbelievable amount of words and songs which they performed at a fantastically high level. 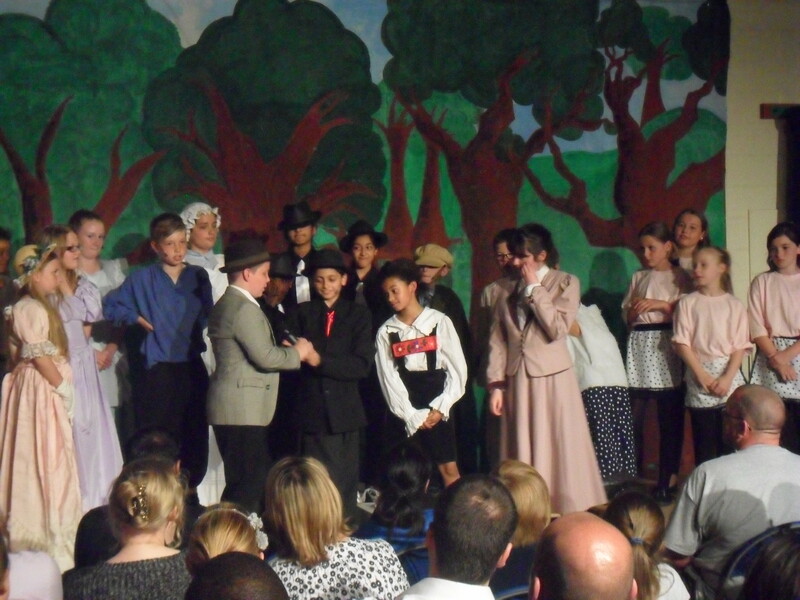 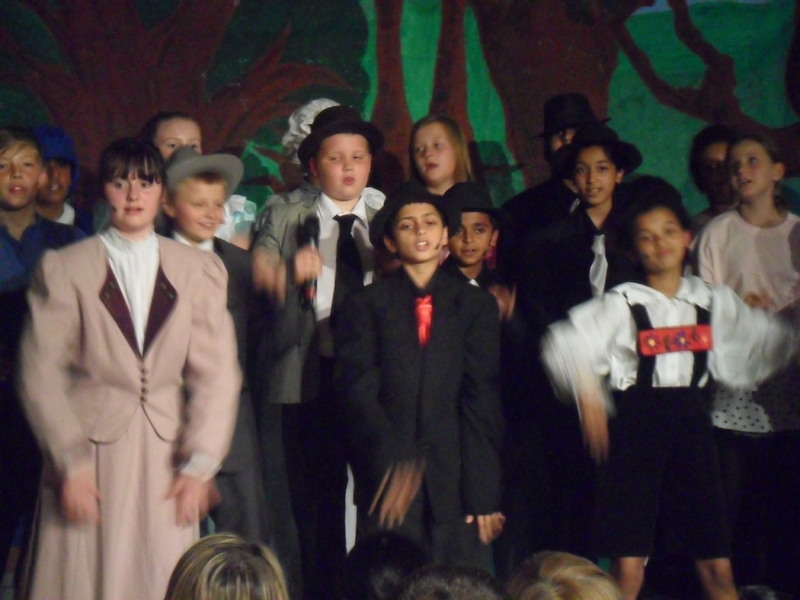 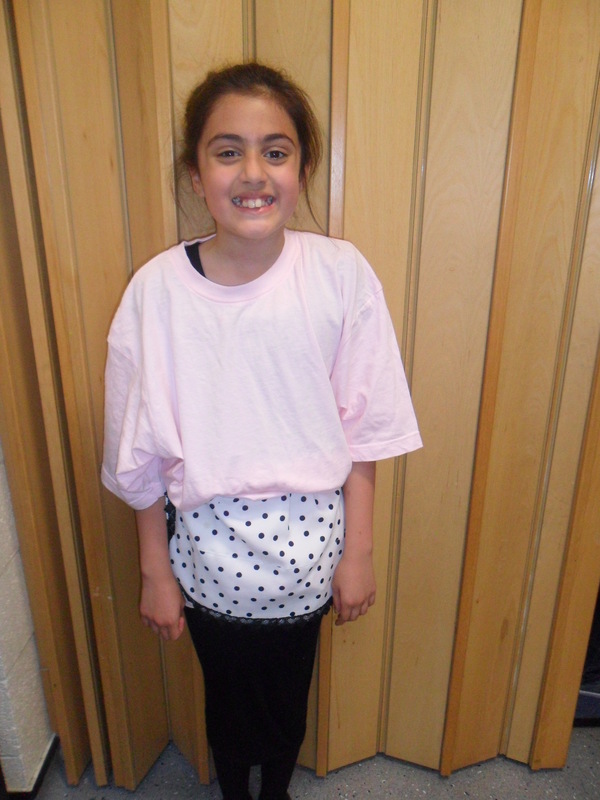 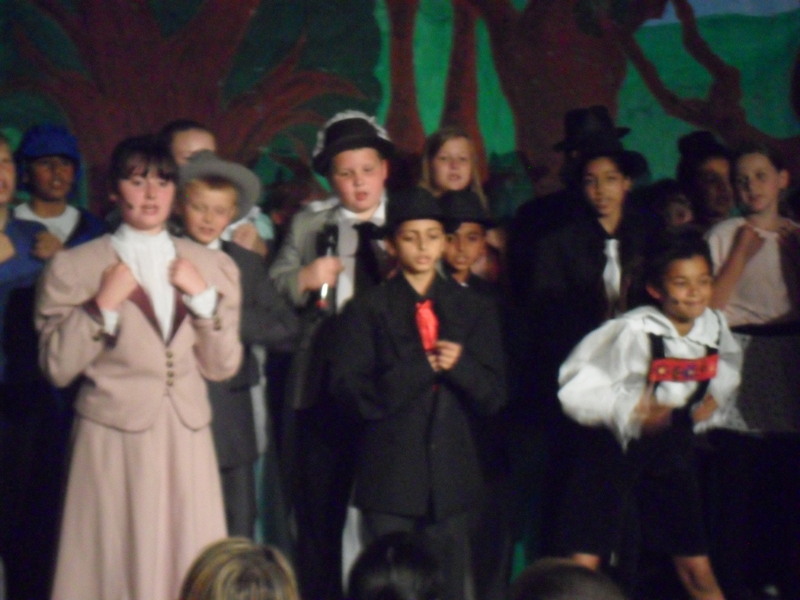 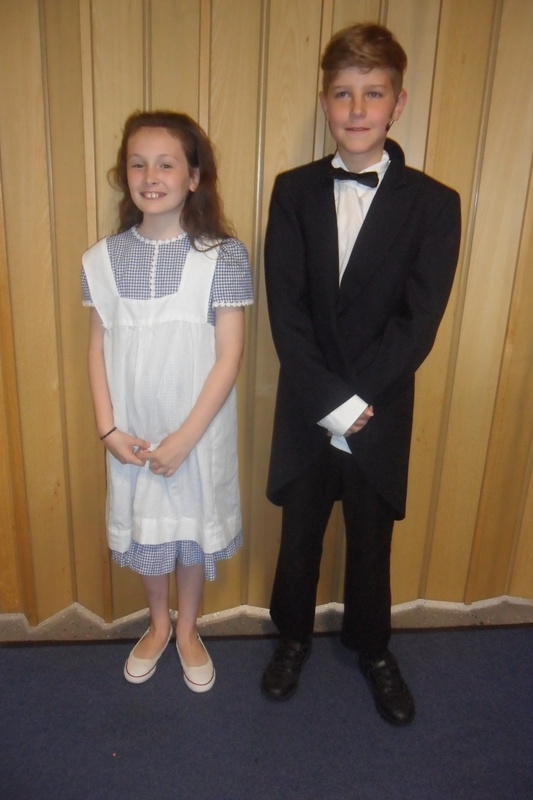 The whole cast was professional throughout and did us all proud! 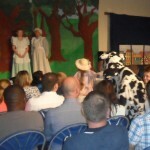 If you would like to watch the show DVD’s can be purchased from Mrs Smith for £8. 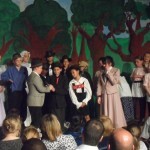 Here are some pictures of the cast! 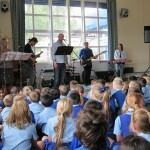 We enjoyed a great afternoon with Bolton Music Service staff this week as they showcased their instruments in BMS Live! 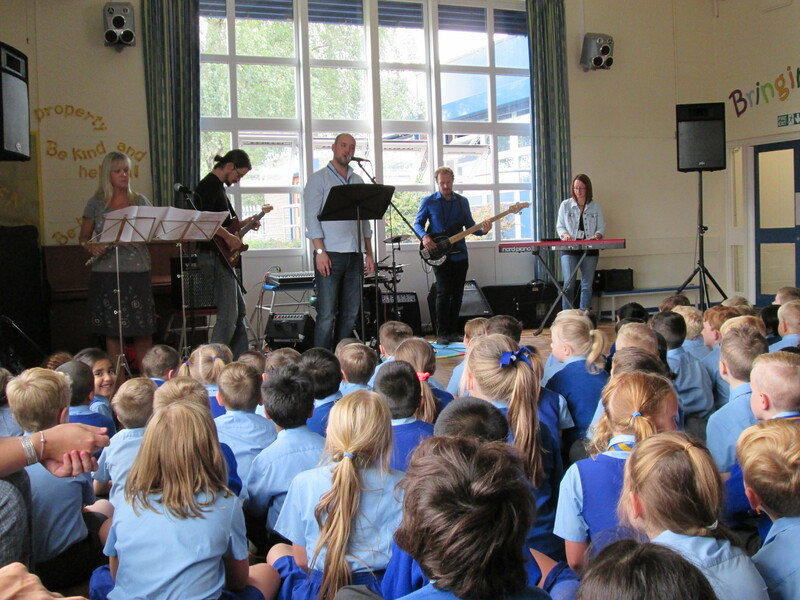 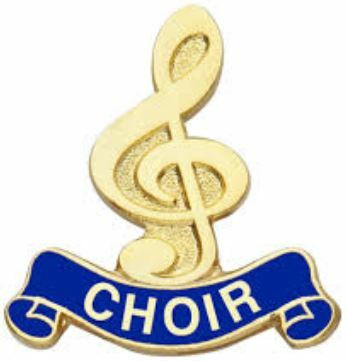 If your child would like to learn an instrument in school please ask Mr Hampson or Mrs Smith for more details. 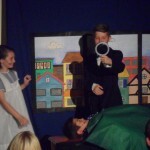 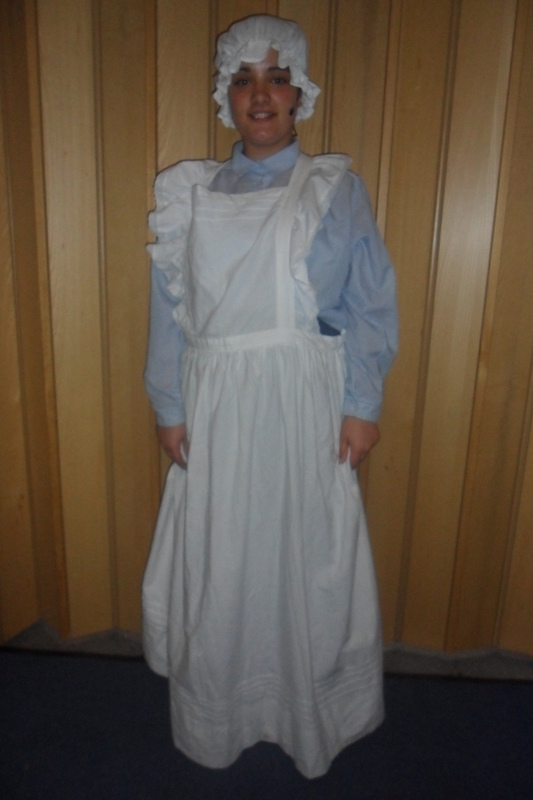 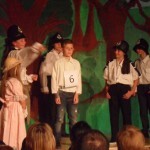 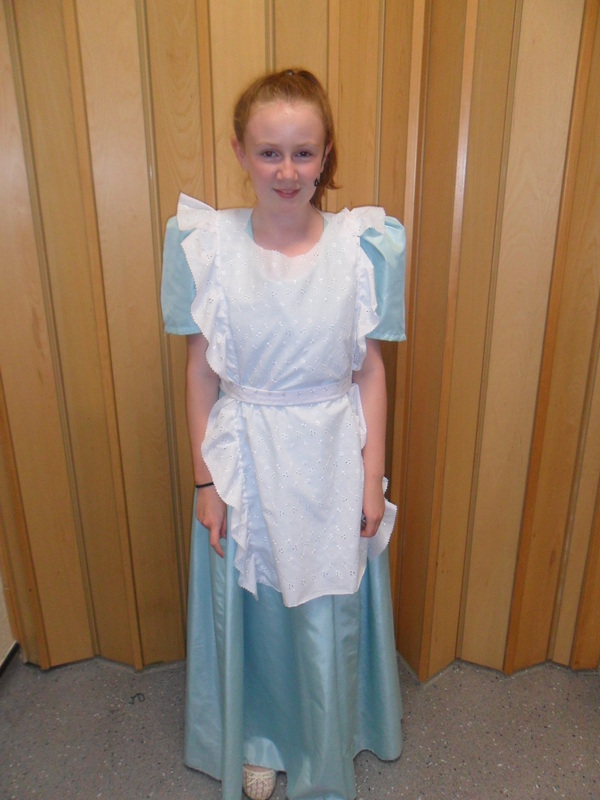 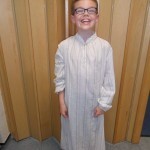 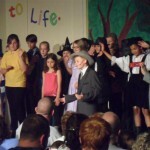 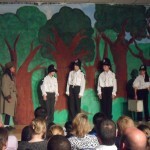 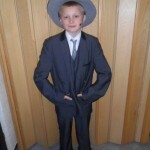 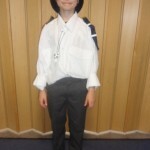 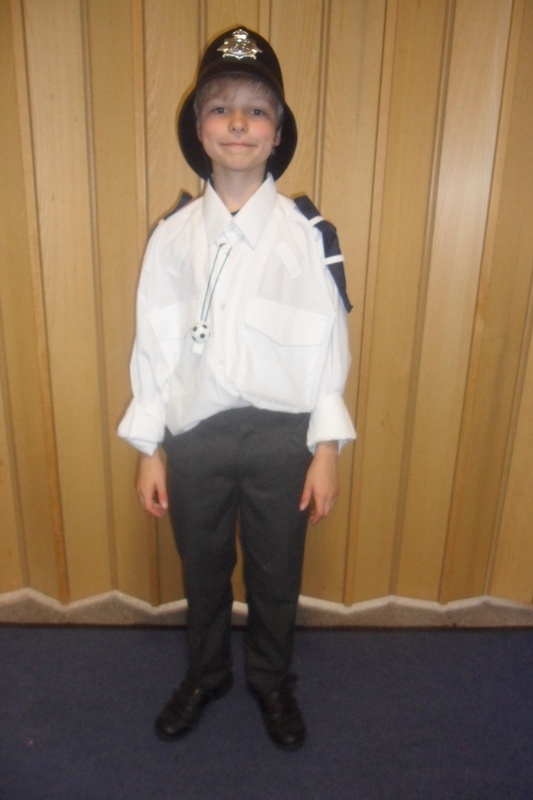 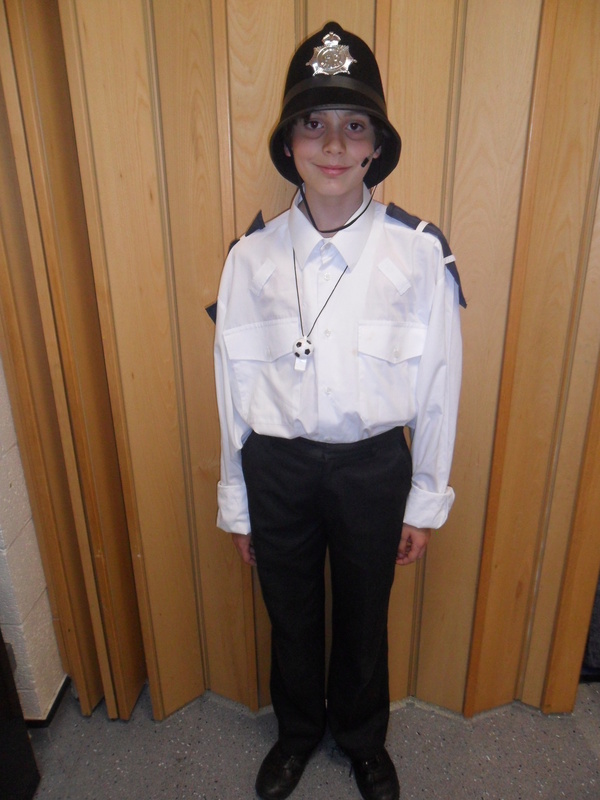 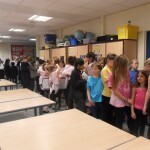 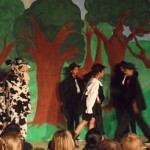 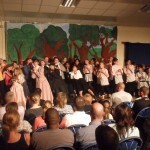 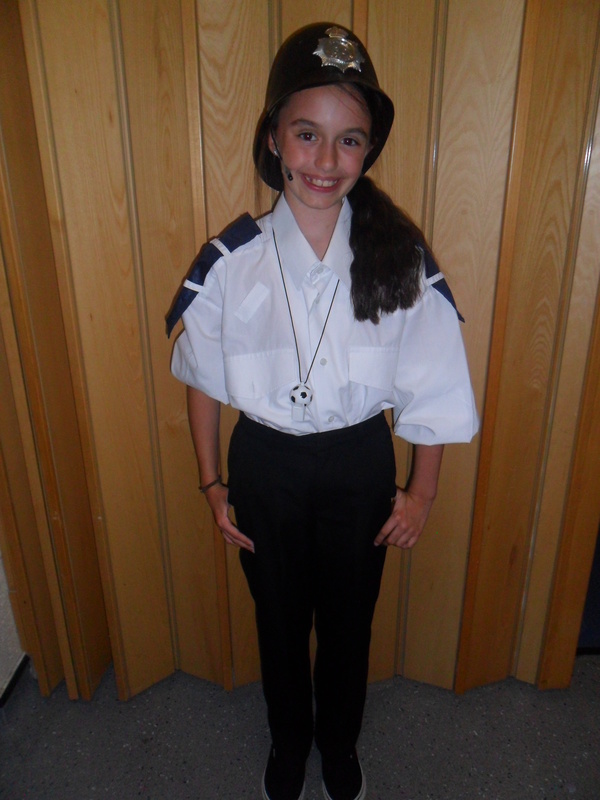 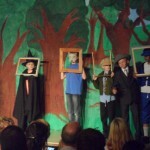 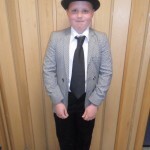 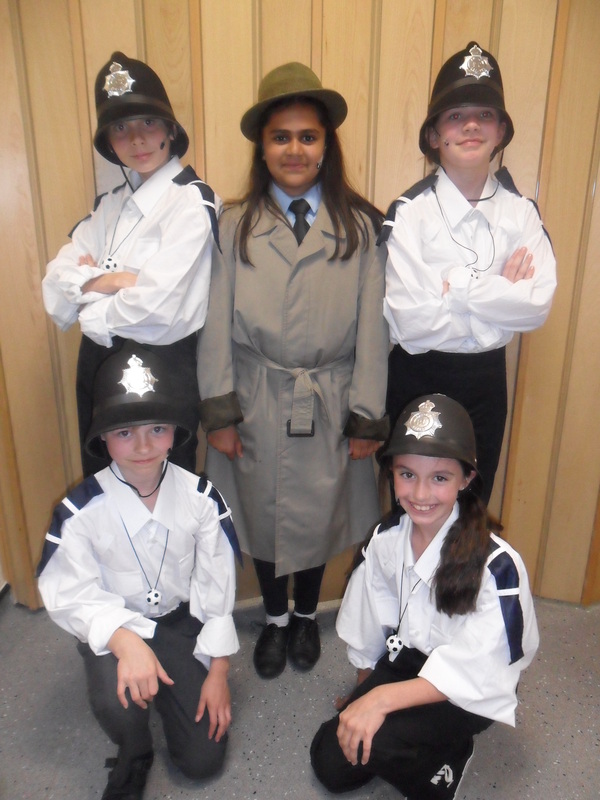 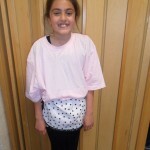 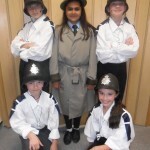 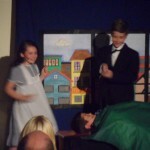 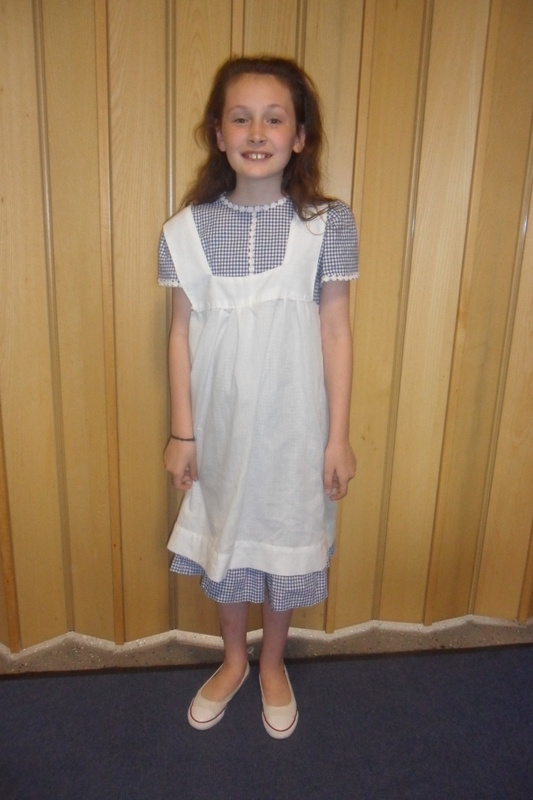 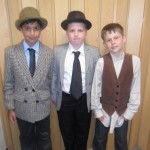 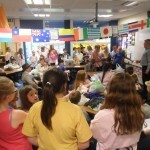 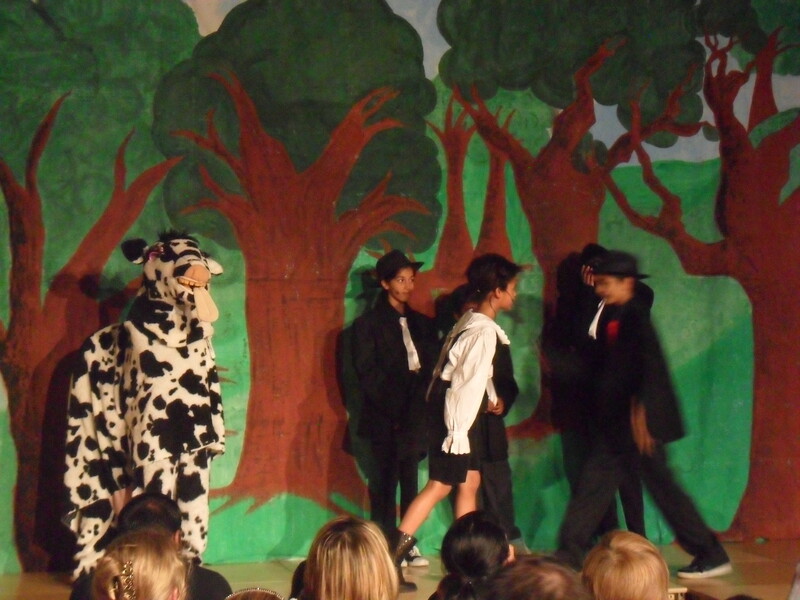 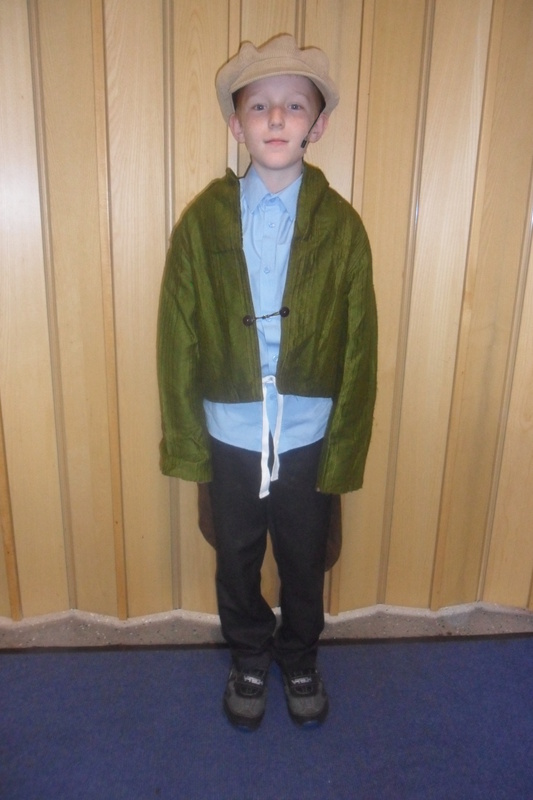 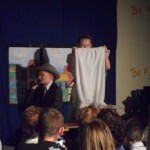 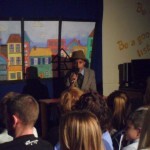 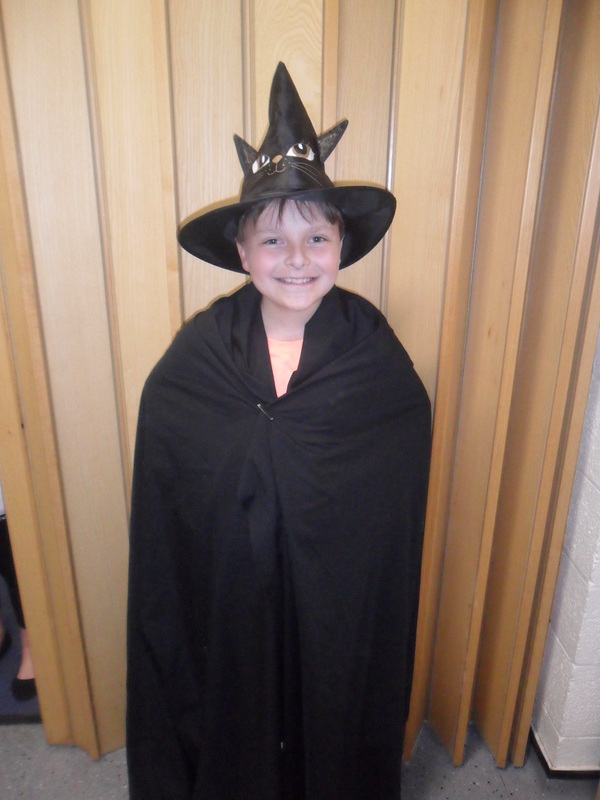 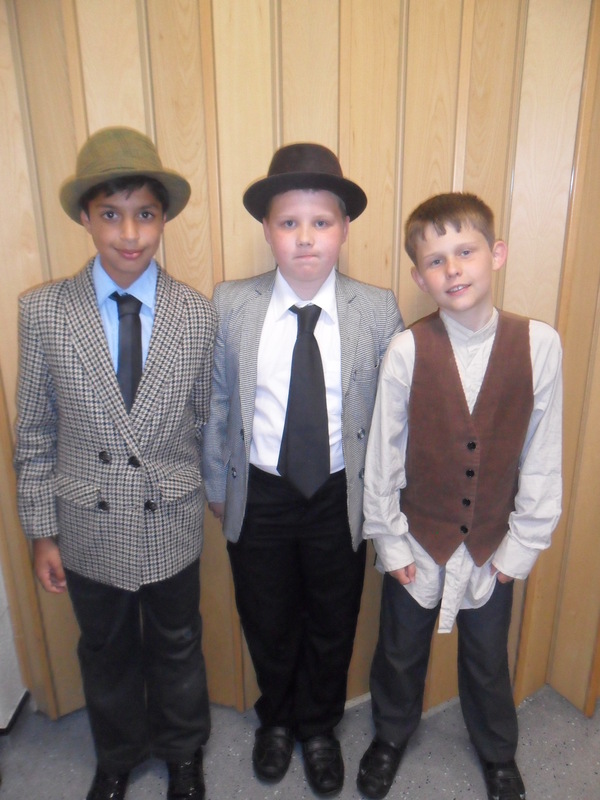 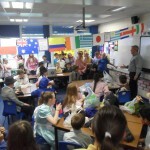 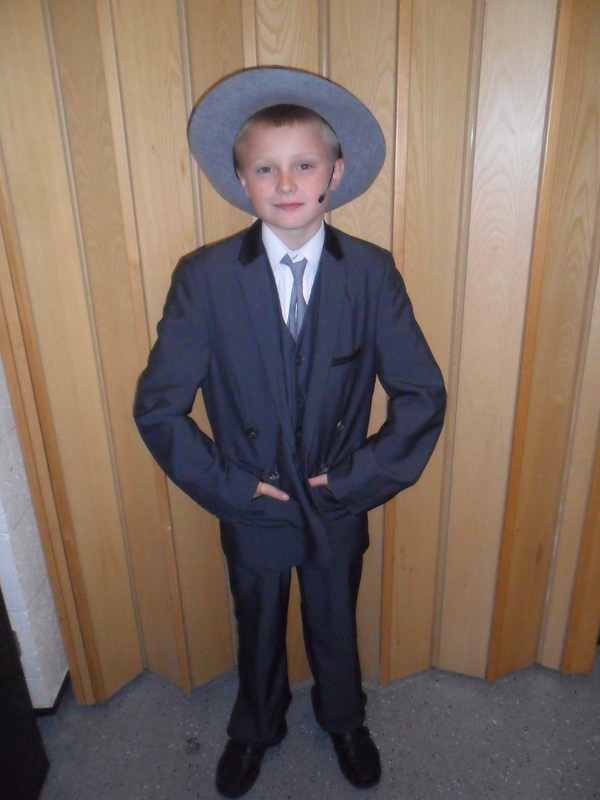 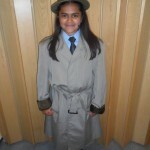 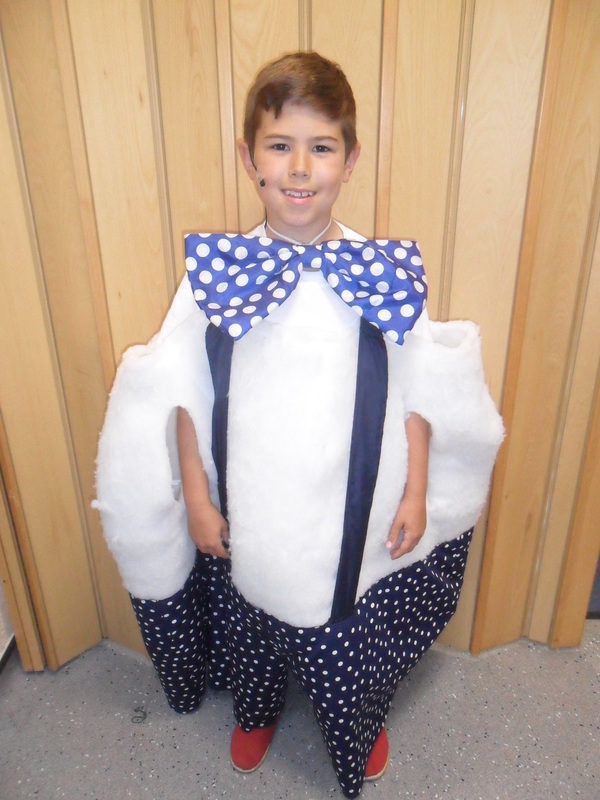 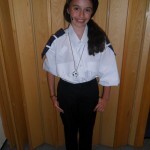 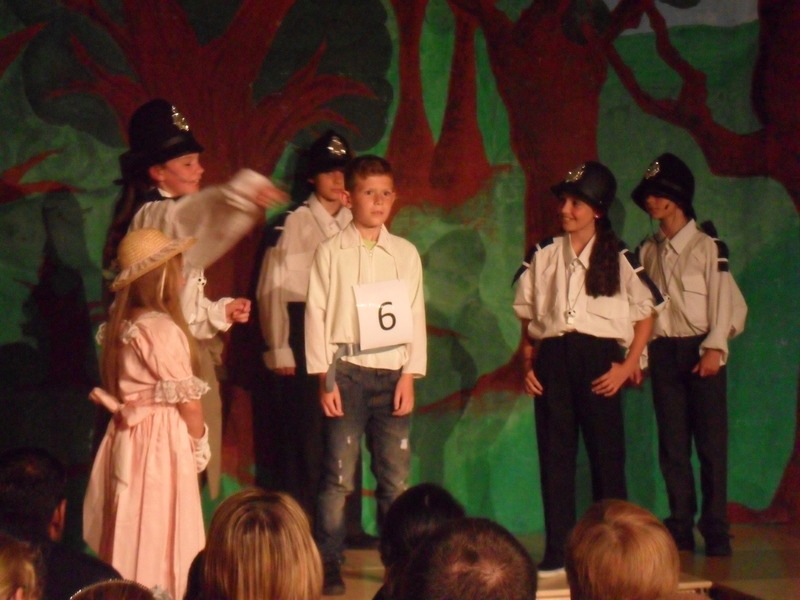 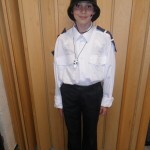 This week Year 6+5 have entertained us all with their fantastic production of Porridge. 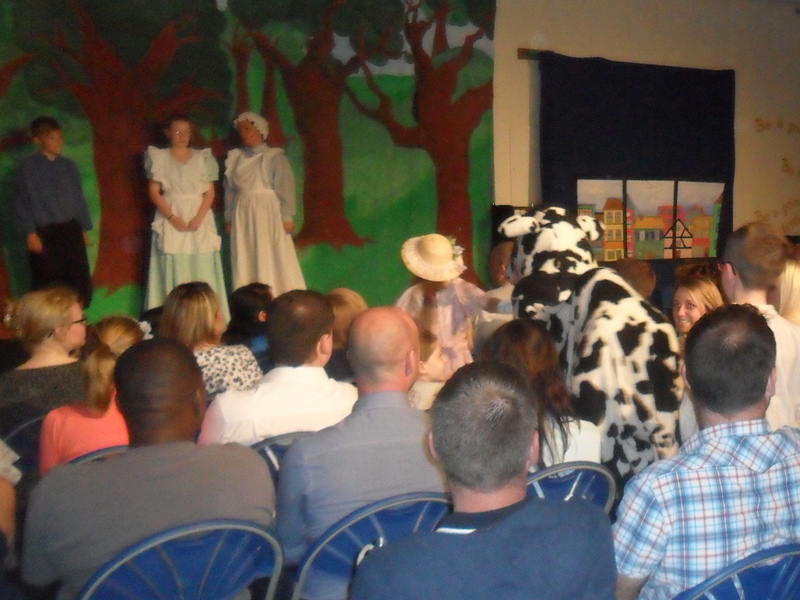 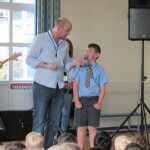 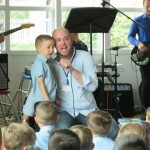 This amazing show by Craig Hawes is full of laughs and the children certainly milked the jokes! 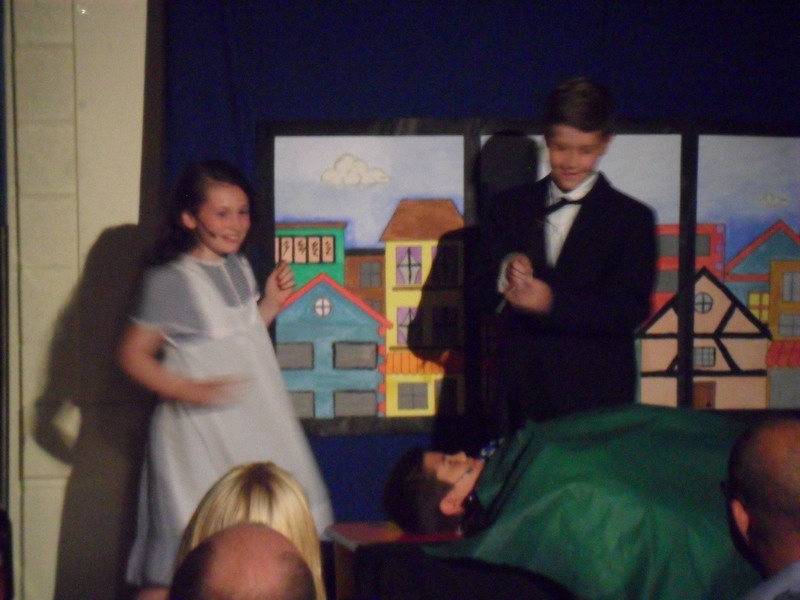 Or was that Marigold? 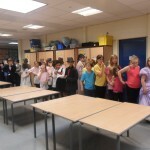 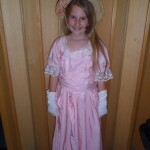 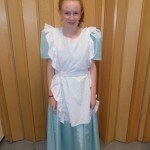 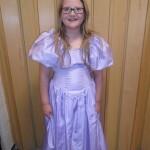 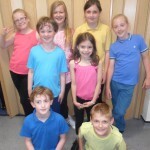 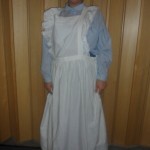 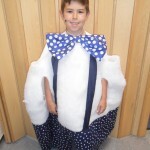 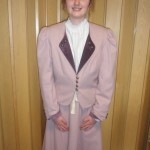 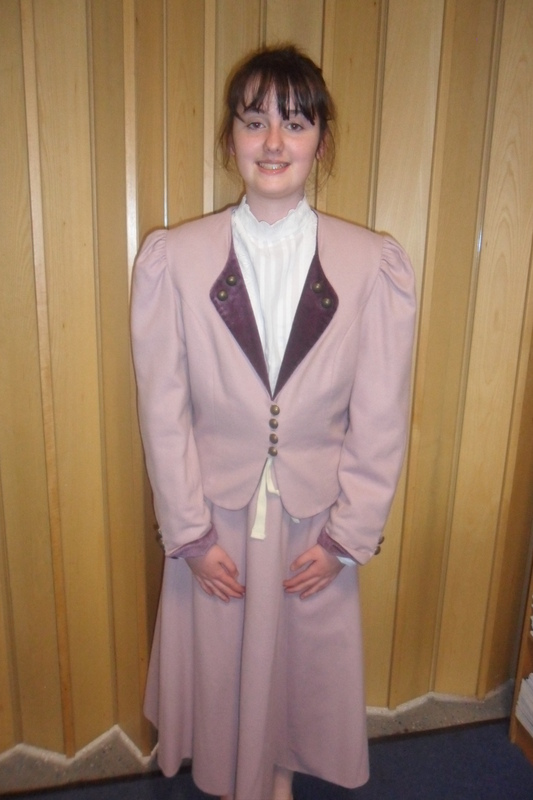 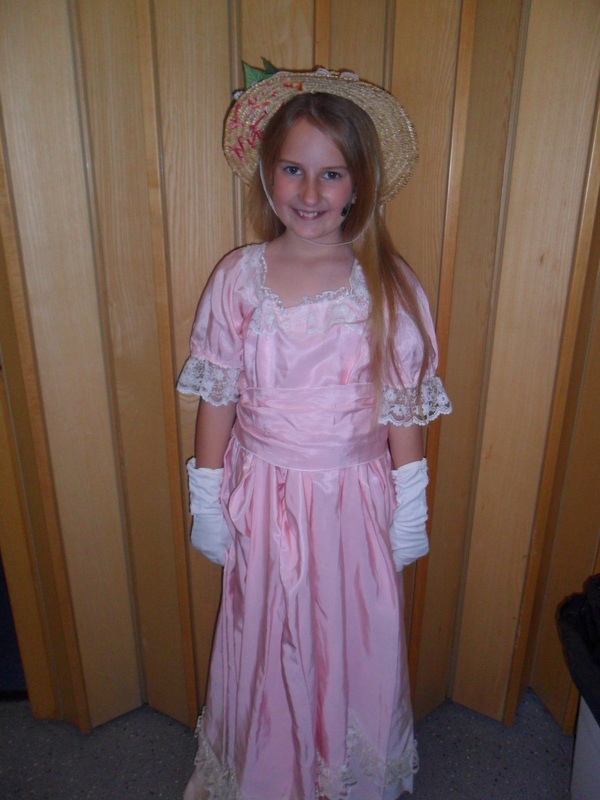 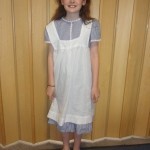 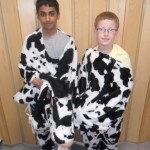 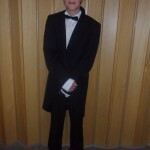 Have a look at these pictures of our cast! 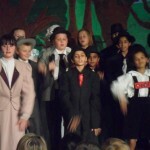 Well done to all them, they did our school proud! 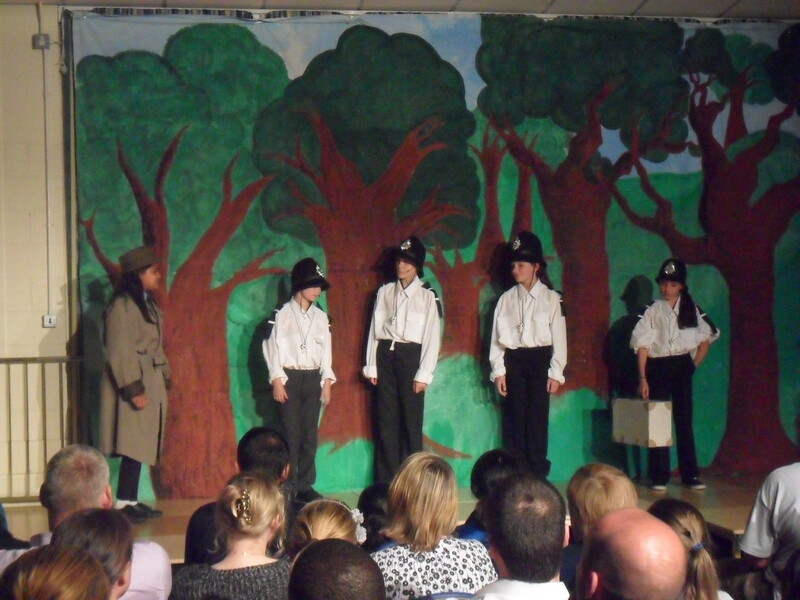 Porridge – When a crime wave hits Happy Valley, there’s a caseload of mysteries to be solved! 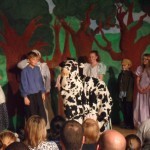 Who’s stolen Ma Hubbard’s cow? 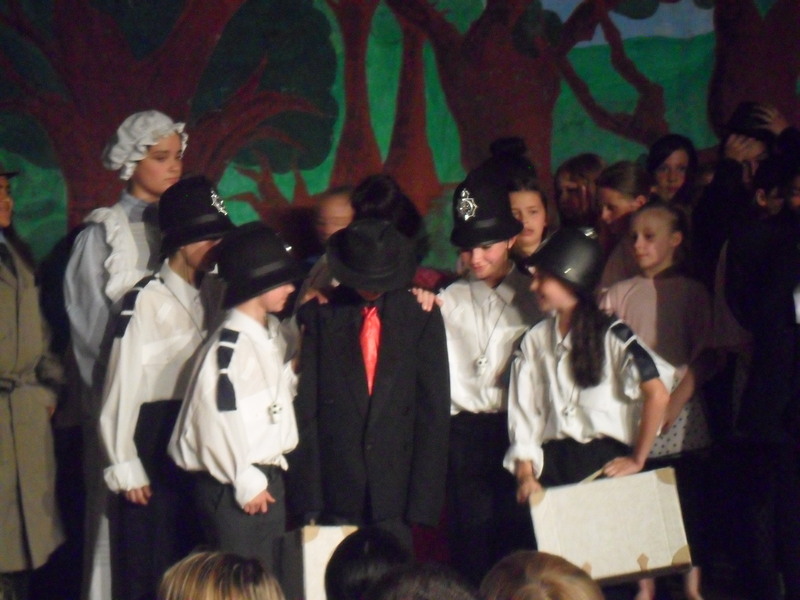 What secret is Papa Bear hiding behind his porridge empire? 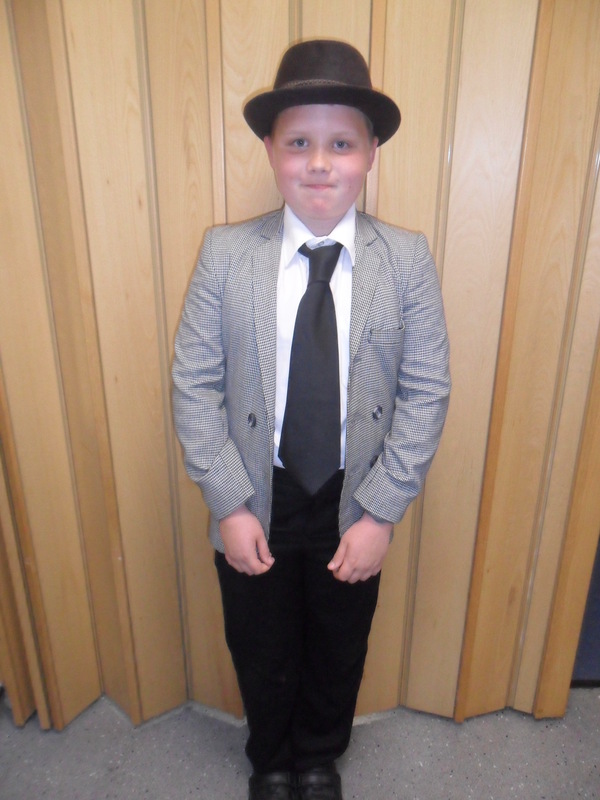 It’s down to private detective, Jack Spratt, to uncover the terrifying truth in this tale of mystery, mayhem and breakfast cereal! 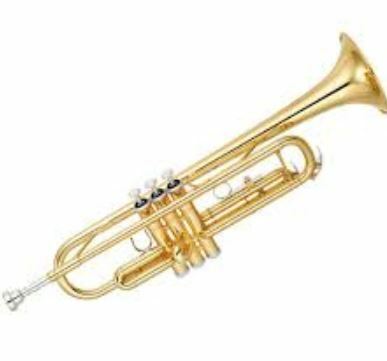 Music – Trumpet players going in the right direction! 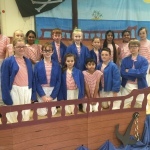 Have a listen to our amazing Trumpeters in Year 5+6. 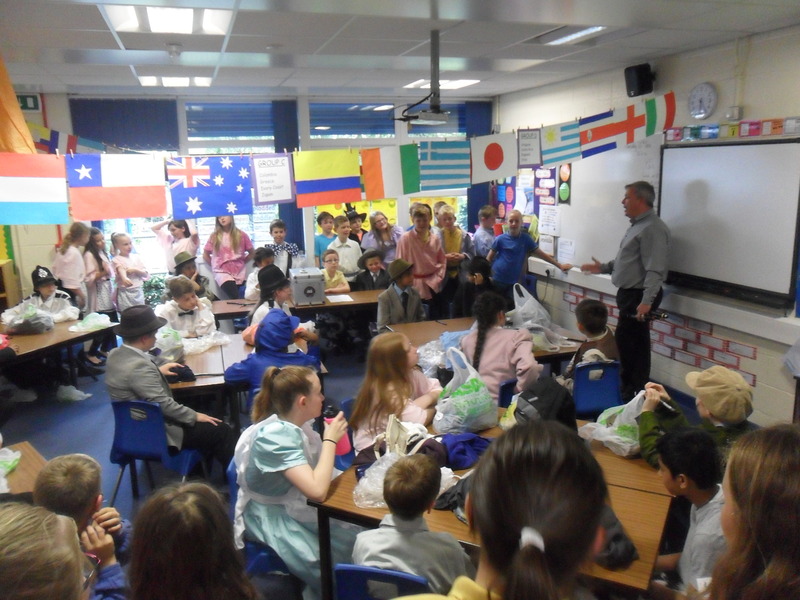 They have weekly lessons with Mr Greenland from the Music Service and have had great fun learning how to play one of their favourite songs.